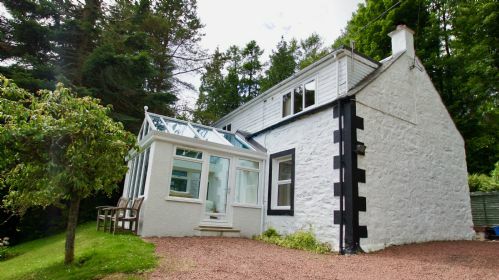 Set in the beautiful Loch Lomond and Trossachs National Park, with views towards Loch Earn, our holiday cottage sleeps up to 4 guests with a double bedroom and twin bedroom upstairs. Linen and towels are provided. 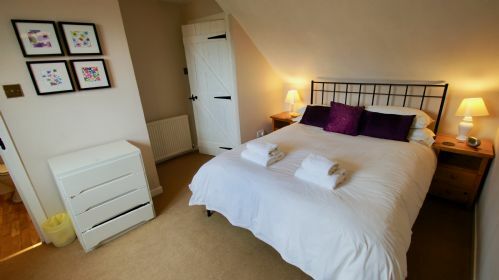 The cottage is two floored with bedrooms upstairs and living space downstairs. 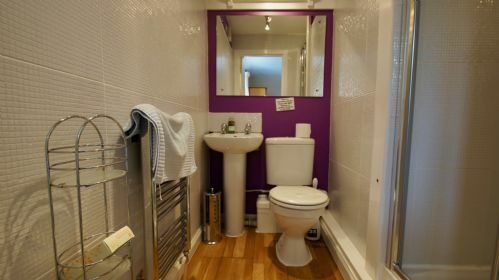 There is a downstairs bathroom with bath and toilet. 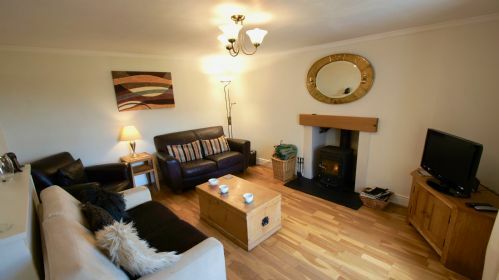 There is a lounge with sofa seating for 4 and a woodburning stove with welcome basket of logs. The kitchen is fully equipped for self catering with a fridge, electric cooker, microwave, kettle and dishwasher. There is a separate dining room with table and seating for four. Guests will also find guides to local attractions and activities. 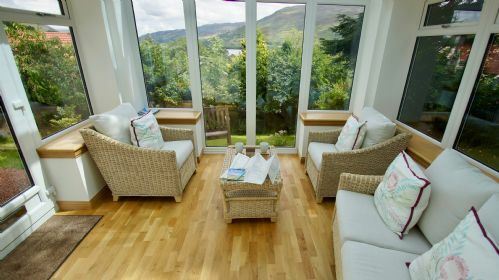 To the front of the property is a newly fitted sun lounge with views of Loch Earn and the undulating mountains. WiFi is available in the cottage. There is off-street parking beside the property and a garden area to front and rear, with a small pond in the rear garden. Lovely cottage, well equipped and clean. The conservatory made a real difference being able to take in the views even if the weather was poor. excellent location for walking with a cycle route in the village heading north and south. Thank you. The conservatory is a relatively recent addition to the property but it is a great space to relax. They are currently working on a new cycle route that will take you from Lochearnhead to St. Fillans, along with the routes to Killin and Balquhidder you mention. 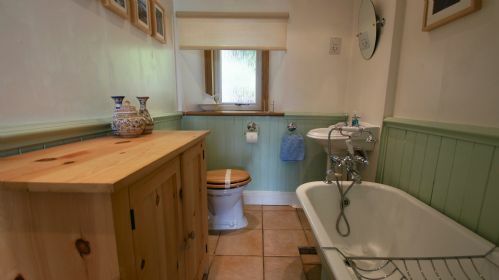 Lovely cottage, extremely well equipped for self catering. Location is great with fabulous views and a short walk to the local shop and hotel bar! Plus loads of great walks in the immediate vicinity. The conservatory is a fabulous day room and there’s lots of living space. We had a very enjoyable short break and will be back to explore this beautiful area some more. Thank you for your review. We would love to welcome you back again. Thank you. We're glad you enjoyed the new conservatory and look forward to welcoming you back again. What a beautiful cottage. It's unusual to be able to say that everything was perfect but View Cottage truly was and everything worked. Sitting in the conservatory overlooking the Loch any time of the day was a joy. The bottle of wine and biscuits was a nice touch on arrival. Thank you for your review. The conservatory is a new addition to the cottage so very glad to hear that you enjoyed it. 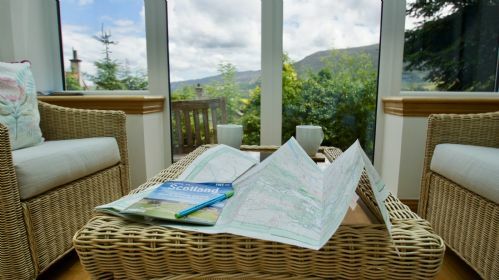 View Cottage is in a wonderful location, from the bedroom you get a view right up to the other end of Loch Earn. 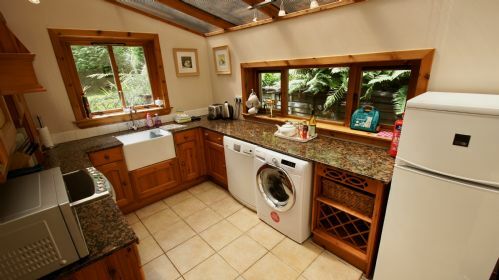 The cottage is well equipped for cooking own meals , a great sized fridge/freezer and a dish washer. We were a bit disappointed that there weren’t any coat hanging facilities and no airer to hang wet washing. The cottage has a conservatory which is lovely and cozy, we sat and looked at the stars at night and watched the sun come up in the morning. We managed a few days out walking doing the Glen Ogle Trail, and walking along the side of the Loch. It is a beautiful area to visit and also got to Callander, Oban and Stirling. Thank you. Great to hear that you got out to do some walking during your stay. Well what an absolutely lovely cottage in a beautiful location! 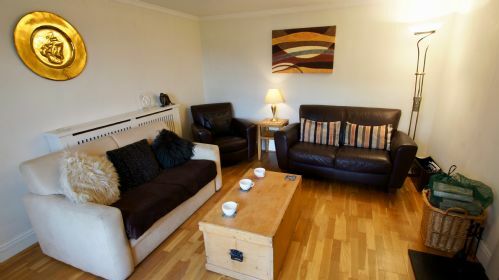 It's very comfortable, well-equipped and furnished to a very high standard throughout. The conservatory which is new for 2017 I think is very high quality and a real showpiece! The wood burning stove in the living room was a real bonus as the nights were quite chilly! This was my first visit to View Cottage and to this part of Scotland and I'm already looking forward to returning early next year and to a few more visits after that for sure. If, like myself, you're on a mission to climb the Scottish Munro's then this makes a perfect base, there are lots of Munro's within a relatively short driving distance. Many thanks to Cooper Cottages for providing fantastic accommodation and I would heartily recommend View Cottage to anyone. Thank you for your review. We are glad to hear you enjoyed your stay at View Cottage, with the new conservatory and wood burning stove. View cottage is very well equipped with a lot of lovely details. The recenty added wintergarden is a wonderful place to enjoy the superb views of Lochearnhead even on very rainy days. Because of the central location it was an ideal place for exploring a lot of interesting places in central Scotland and the Highlands. Thank you for your review. Glad to hear you enjoyed the cottage and garden and managed to explore some of the surrounding country. 3rd visit to View Cottage and it never disappoints - the sunroom is a lovely addition too! Would highly recommend this cottage to anyone wanting a cosy feel and peace and quiet. A very nice property providing easy access to a very scenic part of Scotland. We enjoyed cycling in the area on National Route 7 and various nearly traffic free roads. 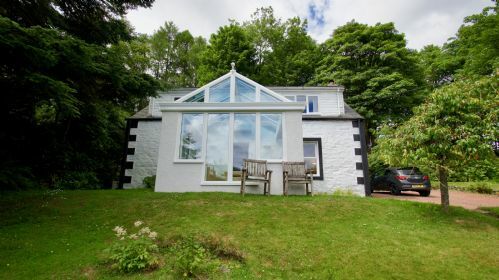 The property is well equipped, we found nothing missing, and the recent addition of a conservatory has greatly enhanced the views over Loch Earn. Thank you for your review of View Cottage. We are glad to hear you enjoyed your stay in Lochearnhead. 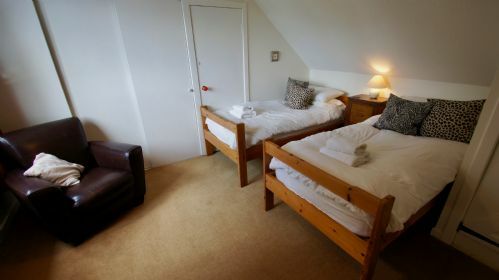 The cottage was surprisingly well equipped, the decoration was very tasteful and all rooms are cozy and comfortable. Our favourite was the sun room which is a great place day to relax after a day of exploring the Central Highlands. 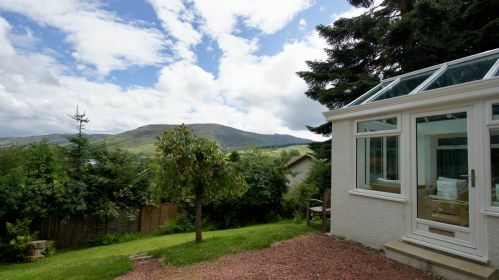 The location is peaceful and offers great views onto Loch Earn and the surrounding hills. Loch Earnhead serves as a good location to be based for day trips into the surrounding area (Fort William, Oban, Glencoe, Loch Tay & Glen Lyon, Callander & Stirling). A truly great holiday cottage which we can highly recommend. Thank you for your review of View Cottage. We are happy to hear that you enjoyed your stay and the new sun room. Another enjoyable week at Lochearnhead, though as often, the weather was the only fly in the ointment. The conservatory was a great addition in which to relax together with the new windows. Very pleasant. Thank you for leaving this review. Glad to hear that you enjoyed your stay at View Cottage and the new conservatory. Spent a great week here. Nice tow nice walks. One up Glenogle and another back from St Fillans along the back road.. Lovely place to explore by car too. Thank you for your review. Glad to hear you enjoyed your stay at View Cottage and the walks. This was my first visit to Scotland and it was more beautiful than I could have ever imagined. When we arrived at View Cottage, it was immaculately clean, bright, homely and had everything we needed for our stay. Absolute luxury. The wine, biscuits and milk left for us were much welcomed! 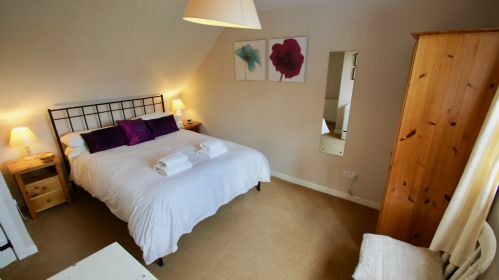 The rooms were all very comfortable, lovely beds, sofas, and the central heating and wood burner were a real treat, making the cottage lovely and cosy every evening. The surrounding areas were fabulous to explore and we were lucky enough to see red squirrels, deer and various birds of prey up close. Many thanks for taking the time to send the very positive review. We are pleased you enjoyed View Cottage and the surrounding area. The wildlife is wonderful but sometimes illusive so it was great to know you got up close to the wildlife. Thank you for your comments regarding Cooper Cottages it makes our job worthwhile to know you enjoyed your stay in Scotland. 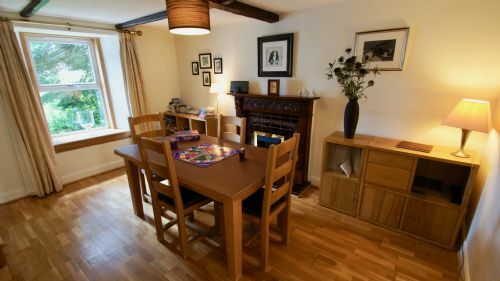 The cottage is very welcoming, cosy, well equipped, very clean and quiet.It is a great central location for exploring the area (daytrips, walking, outdoor activities). The view of the area is wonderful. We enjoyed every day of our vacation. Thank you for your kind review. We are glad to hear that you enjoyed your stay at View Cottage in Lochearnhead. This is a comfortable, clean, well furnished and generously equipped cottage. There is plenty of room for four adults and we found everything we needed was there. There are also folders full of holiday information - walks, places to visit etc. The central heating is very efficient, we didn't use the wood burner as it was quite a warm week. Having two bathrooms is very helpful and the en suite shower is extremely powerful, which the two younger members of our party thought was a plus. View Cottage provides a good touring base, but there are also many walks and cycle rides from the village. Kinnin is 15 minutes and Callander 25 minutes drive. Both have a range of shops, pubs and restaurants. The Lochearnhead village shop is moments from the house. We would be happy to visit again. Just one warning - on arrival at the cottage, be aware that the steep gravelled drive is quite skiddy and bumpy so needs care. Thank you for taking the time to write this review. We are glad that you enjoyed your stay in Lochearnhead. We appreciate your comments regarding the drive up to the property. It is steep and we do try to keep an eye on it and repair it when necessary. View Cottage is a godsend. Christine greeted very well, the cottage was absolutely perfect for us. We felt very comfortable. All without obstructions and best satisfaction. The facility is clean and well maintained. The location is really nice. Thank you for your review. Glad to hear that you enjoyed your stay at View Cottage. We look forward to seeing you again in the future. Some plates of the wooden path of the pool in the garden aren't fix anymore. This can be dangerous. We recommand to make it fix. Thank you for taking the time to leave your review. We are sorry we did not know about the toilet flush becoming disfunctional during your stay. This is now repaired. The decking that you mention is also been repaired. We are pleased to hear you enjoyed the cottage and that the towels provided added to your comfort. We thank you for leaving the note on departure which really helps us ensure the comfort of future guests when we can make repairs during changeovers. view cottage i weeks stay. 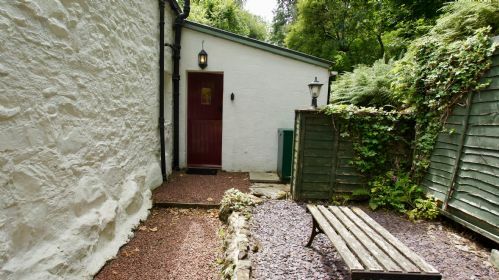 My wife and I found the cottage to be very comfortable and pleasant, and on the whole we wanted for nothing being well stocked with the essentials - apart from the weather of course, but having stayed at Earnknowe for the past 17 years we are well used to the vagiaries of Scottish weather. That did not make the week in view cottage any less enjoyable as It was easy to warm when we wanted to. It is well situated and located for getting around the area. Easy to find, very peaceful and quiet, great view over Loch, and within walking distance of nearby restaurants. Only two small negatives - the noise of the upstairs macerator can be annoying at times and a slight smell of the heating oil in the kitchen. Cottage makes an excellent base for local outdoor pursuits. Highly recommended. Been to many self catering places in Scotland & Northern England. Definitely one of the best; most striking is the lovely garden; equipment and general comfort are good, and one feels at home. Walks from the house a bit limited, as the Loch roads lack pedestrian walkways - cycle way to Strathyre is best. By car very handy for Callander, Loch Duine, Aberfeldy and many more. Local shopping pretty basic, but enough to survive on; best to go to Callander. The view is fine but not quite as good as name suggests as it's occluded by trees and neighbouring houses. Directions for getting in are incorrect: the key box is not at the front door. It’s at what most people would call the back (entry to the kitchen, away from the approach to the house). This caused us some confusion and annoyance after a long journey. And by the way, it’s not on the left but on what most people would call the right. This doesn’t matter so much, but made us laugh. A few minor upgrades to equipment (on which we left some notes) would make it almost perfect. Certainly want to come again. Quaint cottage in a very good location. The wood burning fire in the Lounge was good and was needed as the heating and hot water system had a mind of its own. We had a wonderful weekend stay at View Cottage. It was already warm on arrival & the facilities are excellent. The rooms are spacious & well decorated & there is everything that a couple or family would need. It was a mixed weekend weather-wise but that didn't stop us getting out & about; returning to a cosy, beautiful cottage was so lovely. The 'extras' left for us on arrival were both fantastic & unexpected - the wine & shortbread were much appreciated! There are various places to eat nearby but equally the kitchen is really well equipped. There are also walks & views a-plenty! To sum up, I had recommended the cottage to friends within 10 minutes of my arrival! I will definitely stay here again when I can! Many thanks to Christine & Cooper Cottages! Das erste mal in Schottland und das in einem so freundlichem Haus. Die Lage ist wirklich schön, der Ausblick auf Loch Earnhead ist klasse. Das Haus ist gemütlich eingerichtet und es ist alles vorhanden was man für einen angenehmen Aufenthalt braucht. This is the second time I have used Cooper Cottages and the standard was as before excellent in every way. I will not hesitate to use their services in future. Really enjoyed it and the cottage was perfect for us. Thanks for all the wood the wood burner was great. Very quiet and beautiful views with great walking. 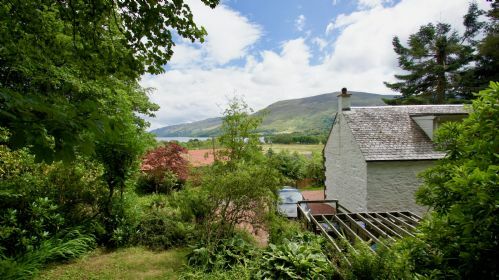 A beautiful little cottage in a wonderful location with easy access to a number of pretty villages and lochs in the area. 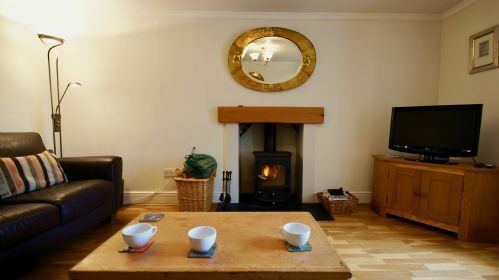 The cottage is well furnished and sports a useful wood fired stove. 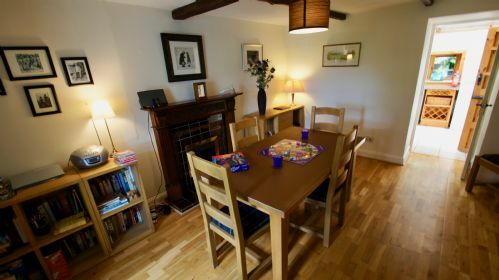 The kitchen was well furnished and the cottage even comes with broadband access.. All in all a great stay! Excellent place. Would stay again. Most enjoyable stay at the cottage. Lochearnhead is well placed for walking. Best facilities for local shops / meals etc within 20 mins at Killen. Pity the weather can't always be as dry as our stay. The cottage was very clean, comfortable and well equipped. Excellent accommodation in a great location for walking and visiting attractions. Highly recommended. We had a great week in the cottage, its in a perfect location, it had everything we needed and more. The bottle of wine and shortbread was a very nice gesture. Many thanks. Cottage lives up to its name. We had a lovely week in View Cottage, the view down the Loch is beautiful especially when the mountains are covered in snow, as they were for us. Although we didn't get any red squirrels in the garden, we did get deer and the pond was full of frogs and frog spawn! A very comfortable cottage to spend the week in. Everything required is available for use, even logs for the fire. The surrounding area has spectacular scenery. We really enjoyed staying in the cottage, the only thing we felt it lacked was a freezer, especially, considering there aren't any decent food shops around - there wasn't even a small freezer compartment in the fridge! That said, it's in a great place, Tesco delivers there, and we would recommend it to anyone.